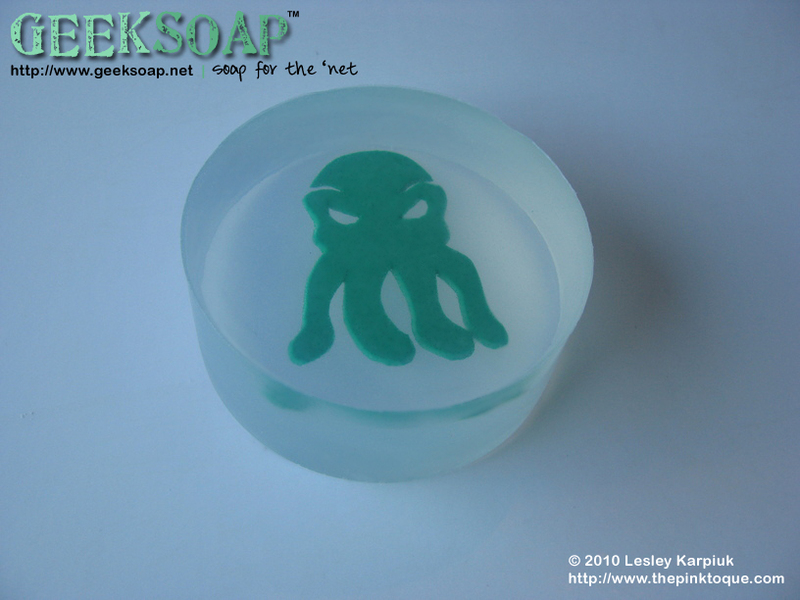 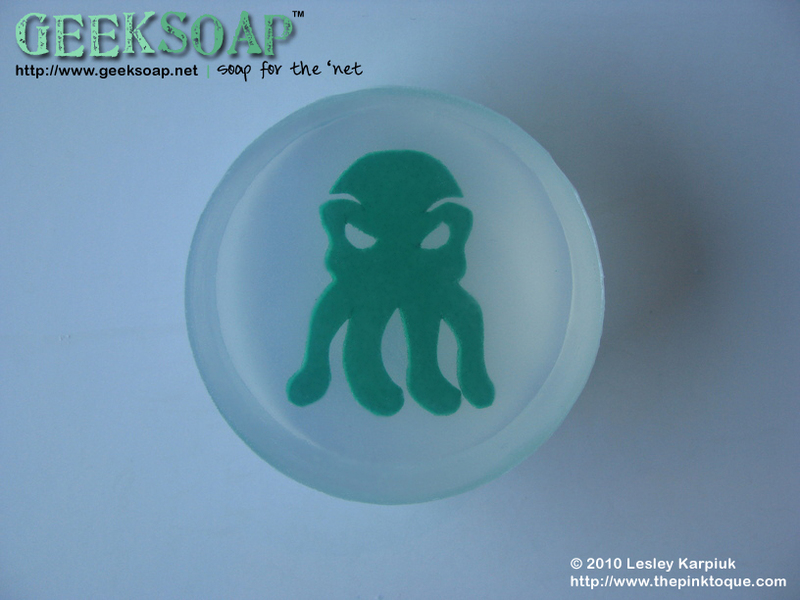 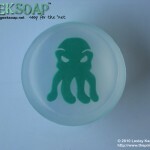 Cthulhu soap! 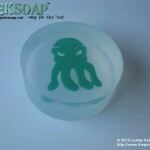 Geek tested, Mighty One approved. 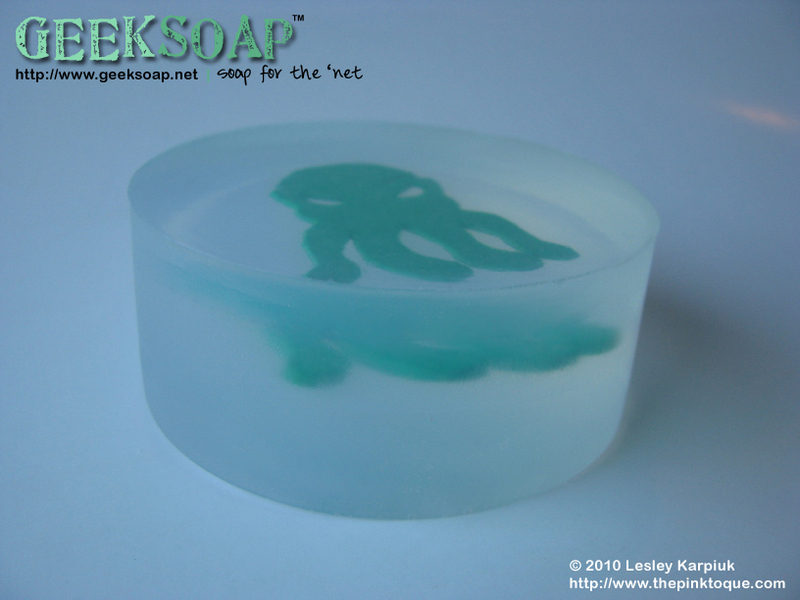 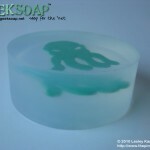 GEEKSOAP is handmade from natural, pure vegetable glycerin and moisturizers, enriched with aloe and vitamin E. Soaps are lightly scented with a fresh soap smell but can be made fragrance free, and come shrink-wrapped to seal in their freshness and allow you to display until youâ€™re ready to use it.Â GEEKSOAP is vegan friendly!